Where does monitoring fit with creativity? Not everyone thinks of monitoring as part of the creative process, but I hope to show that it is. I have written about creativity as a process rather than just a one-off experience and I have explained the first five phases. You might think that the fifth phase, elaboration, was where it finished. You have thought about your project, done the preparation, had inspiration, evaluated it and now you have set it out in detail. Surely, that’s it? Can you implement without monitoring? No! You need to look at the way it will work in practice, iron out the wrinkles and make it actually workable. As a writer, this is where I need to edit and proofread my manuscript. I have been appalled at how many mistakes I have found at this stage, however good I thought the draft was, even after a couple or more rewrites! How does the monitoring phase work? If it is possible, now is the time for a trial run, a pilot scheme or some other way of trying out your ideas in the real world but keeping your options open. Even if you have no option but to implement all in one go, make sure you treat the first few months, perhaps even the first year, as experimental. Monitor everything that may be relevant: costs, sales, output, complaints, errors, feedback from staff and customers. Identify risks you hadn’t thought of before and look at the control measures. Are the controls effective? Are any redundant? Be ready to learn and change things. Pride can get in the way. Remember your aim is to produce as good a final product as possible. Admitting mistakes is a step in the right direction. One approach to monitoring your business. Another approach to monitoring your project: a magnifying glass AND a computer. 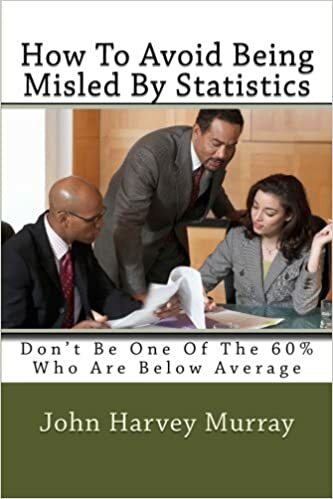 Growth: an international misuse of statistics? Who says international growth statistics are misleading? However, I have not written about the misuse of growth-statistics, which David Pilling writes about in his book, The Growth Delusion. The author quotes former President of France, Nicolas Sarkozy, that we are ‘mismeasuring our lives’. How do people measure growth? Gross Domestic Product (GDP) is the main index used. Everyone wants to see this number increase. We use it to compare ourselves with other countries, and with ourselves in previous years. What is it? It is the total value of goods and services produced in a country in a year, excluding investment income from abroad. Why do GDP statistics not give a true picture of growth? The powers that be have chosen a single measure. This gives the impression of simplicity and appears to make comparisons easy. The trouble is that life is not so simple. GDP will not reveal regional variations, or even the experiences of different groups of people in the same town. There is plenty of evidence that regional and other differences in income have been widening in the UK for some time. Different people’s real incomes are moving in opposite directions, because their prosperity depends on where they live and what industry they are in. You can read about other criticisms of the way people use GDP in The Growth Delusion. Do misleading growth statistics create a risk? David Pilling and Nicolas Sarkozy have recognised a risk, which is that people will think they are being deliberately misled. They will hear how well our economy is performing,when the evidence of their own eyes contradicts that assertion. This could add to the distrust in experts of all kinds, which would be very bad for democracy. I do not want to take that risk. Let’s find better ways of measuring prosperity. Risk Predictions 2018 – do others agree with me? It is not too late to look at predictions for the new year. I have written about my predictions for the risks to watch for in the coming year. These included the cyber risk, Brexit, the supply chain and climate change. Many others have offered their views. I am pleased that I am not unique in my opinions and I was particularly interested in an article in Time magazine on 15 January by Ian Bremmer. He gives a longer list than mine. Have I missed something? What’s in the Time list of predictions? I will not reproduce the article here, but I list the main points. I do not disagree with Ian Bremer very much on his assessments. I don’t remember where Donald Trump fitted into any of the risks listed, but I’m sure he’ll play a part in influencing them. Why are Time’s predictions different from mine? The Time article looks at global risks, whilst I tried to concentrate on ones you and I need to be most aware of. I did not mention risks which we cannot control or do much to mitigate but I advise you to think what you can do to prepare for the risks that are most relevant to your business. Some things, regrettably, we have to leave up to the Government!